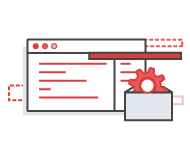 Learn how to deploy your static website using AWS. Learn how to build a WordPress website using AWS Elastic Beanstalk, Amazon S3, and Amazon RDS. Learn how to build a Drupal website using AWS Elastic Beanstalk, Amazon EFS, and Amazon RDS. 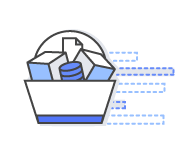 Learn about the AWS Management Console. Includes instructions for starting various services, steps for customizing the navigation bar, and tips on accessing region settings, security credentials, and billing updates. Learn how to deploy a Node.js app using AWS Elastic Beanstalk. Follow the instructions in this visual quickstart to deploy a sample application to AWS Elastic Beanstalk. Learn how to use AWS CodePipeline to automatically deploy source code in AWS CodeCommit to deployment targets in AWS CodeDeploy, AWS Elastic Beanstalk, and AWS OpsWorks.